Scentsy is totally electronic, so there's no candle, flame or wick. You plug the warmer in to the mains, and it heats up in the center, warming the top plate, which is where you place your wax melt. The wax has a pretty low melting point, so the warmer never gets really hot and you can't burn yourself. You can pick the warmer up and move it to another room even when you've just had it on, which you can't do with a tealight warmer as the whole thing would be scorching hot! I get it that Scentsy warmers are good if you have kids or pets where a flame could be a hazard, but for me with neither of those things to concern me, my worry is leaving a candle burning and forgetting about it! That's probably one of Scentsy's best features - you can leave a warmer on all day if you like, and nothing will happen other than your house will smell beautiful! My warmer is from the deluxe range, and it's called Goldsmith. I picked it because I liked the neutral design, and hammered gold finish, which works well in most of the rooms in my house. It's a nice compact size and costs £33, but currently has 10% off in the end of season sale. 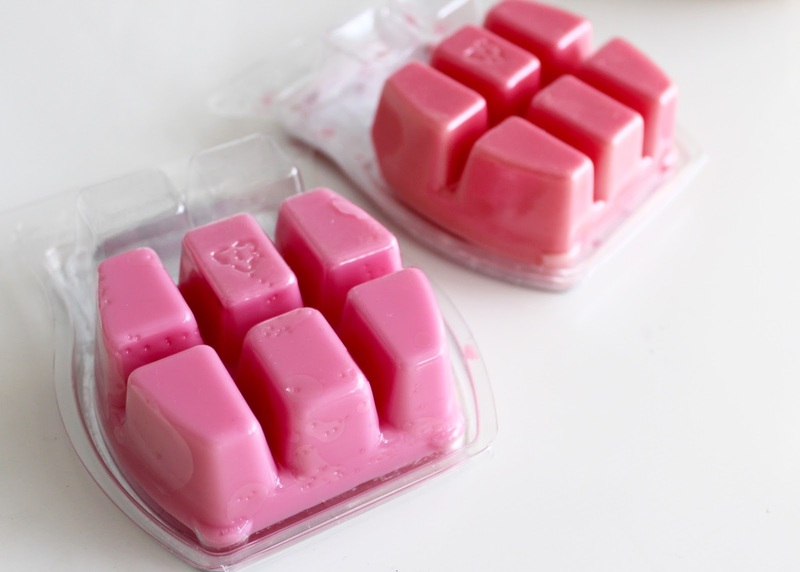 There are tonnes of Scentsy scent bars to choose from, so I had a hard time narrowing it down to two to try to begin with, but I thought I should stop there and I can always order more later. I went with a scent I knew I'd like - Peony Petals - which is a lovely blend of peony and roses. It's a really nice floral scent which fills the rooms without being too overpowering. I also went for Yuzu Dragon as my more unusual choice - I liked the name, and it sounded like something I'd like as the scent includes pink guava, honey drizzled nectarine, sweet dragon fruit and yuzu. One of my favourite Yankees is guava, so I was pretty confident I'd like it and I do - it's a really sweet fruity scent, but it's also really fresh and slightly citrus - certainly one I'd buy again. The scent bars cost £5.50 each, and come in blocks of eight. I use two blocks at a time in my warmer, and you can keep re-melting until the wax loses its smell. I've re-used mine several times for a few hours each so far, and I can still smell the scent, so I'm not sure exactly how many uses you can get, but it seems like a lot. 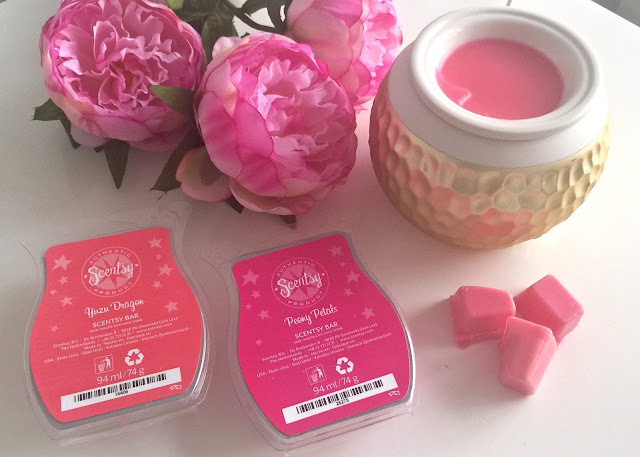 What I didn't realise at first is that you can re-use your wax and change scents by pouring the hot wax back into the plastic container - it'll set hard in there again and you can then load a different scent into your warmer. 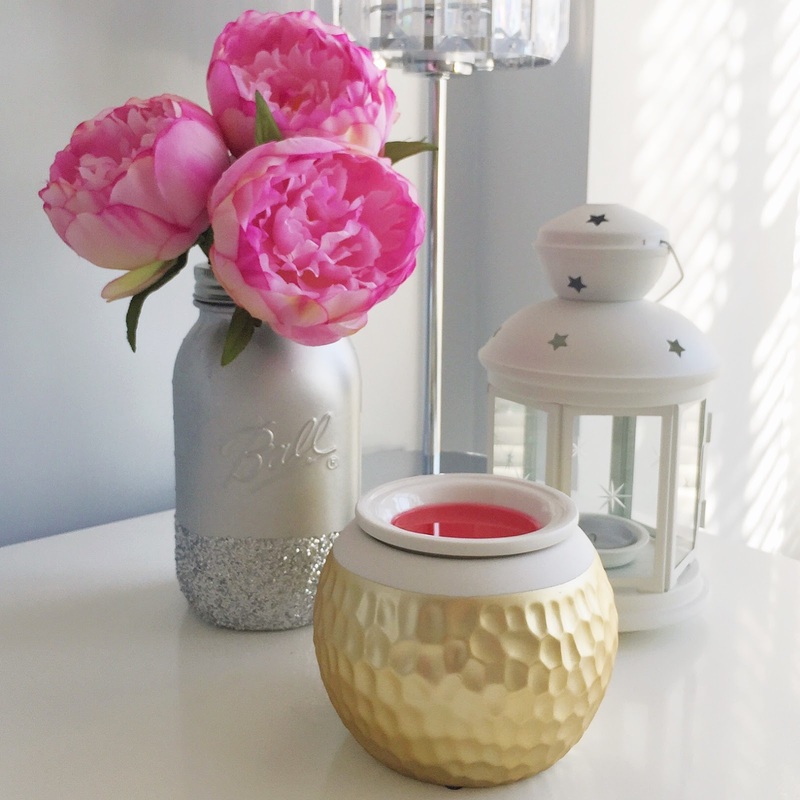 You can check out the full Scentsy warmer and fragrance range on the Scentsy website where you'll find the Goldsmith deluxe Scentsy warmer that I have, as well as the full range of Scentsy bars. I'm a little bit addicted to my warmer now, and as I keep switching it between rooms I've ordered another. My second warmer hasn't arrived yet, but you can have a peek at him here - Whoot Scentsy Warmer - it's a cute owl shaped one! 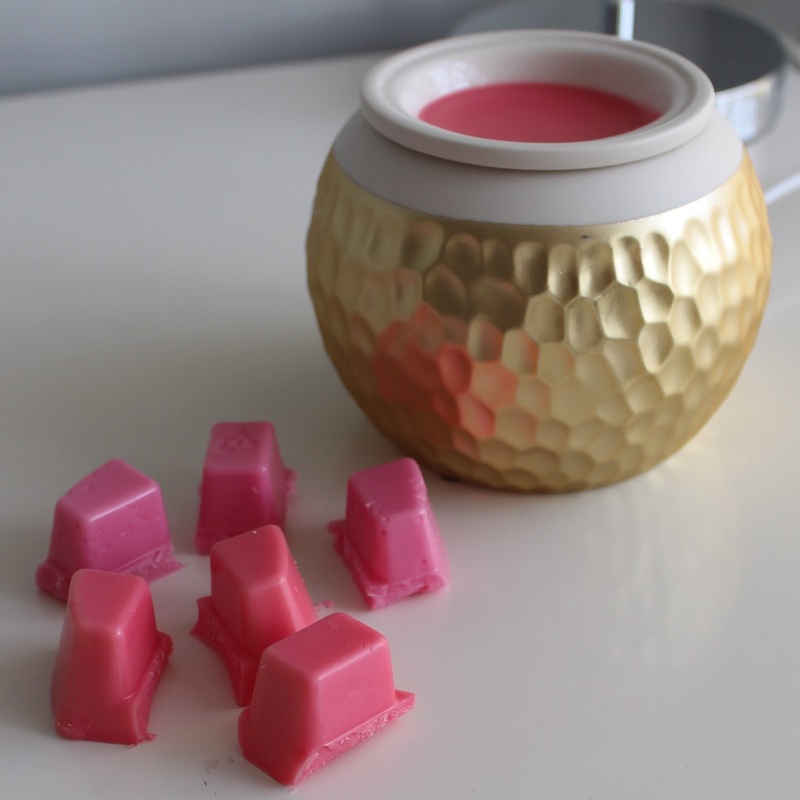 I've also found that Scentsy warmers work with other types of wax melts too, so my wax tart collection won't go to waste! I have heard of Scentsy before in the US. Seems like such a great idea, and safer to use throughout the day than a candle! Seems like each melt would last ages as well? I've only got through two blocks of each of my bars so far, and the scent hasn't run out yet! Please feel free to look at my website some absolutely lovely warmers and amazing scents. 10% off in August as well.